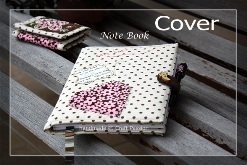 Click over to Craft Passion to find out how to create a cute fabric cover for a notebook or journal. A loop of fabric provides a place to hold a pen and a magnetic snap closure makes it easy to open and close. Go to the tutorial.